Her name (from the Greek “torch”) suited her well, as she kept her torch well trimmed and ever burning. She was strong in a steadfast sort of way. She raised four successful, talented, and happy children. She wasn’t exactly an optimist, but she rarely let circumstances keep her from doing what she wanted (e.g., hosting my parents’ impromptu wedding in her home with aplomb shortly after the premature death of her own mother). She was a talented writer and a self-taught pianist. She was a brilliant purveyor of sarcasm (“It’s the Carver way,” my Aunt Eileen says). 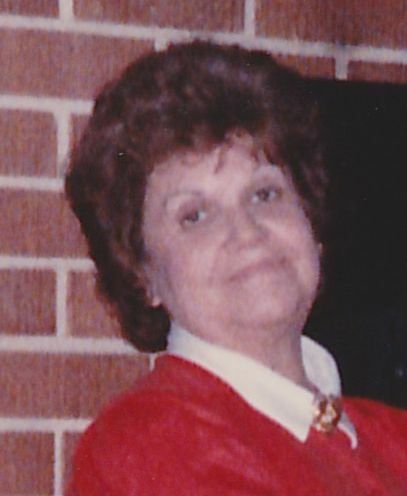 She was a convicted and faithful follower of Jesus, and dedicated supporter of her church. And she was all about family. The day I was born, she planted a cherry tree in her yard. Or so the legend goes. Over the past several years, her health began to slip. The last time I remember seeing her mobile was actually on my birthday a few years ago, when my cousin brought her my mother’s house for a visit. After that I kept telling myself I needed to make time to see her when I went home. Then last January I got the call that it was only a matter of days before she would be gone. It hardly seemed possible. Aunt Helen had always been there, even when I wasn’t. My father died too young, like his mother before him. Aunt Helen was about to turn 80. That’s a respectable age by any figuring. Yet it still seemed too early for her light to flicker and fade. Making me even sadder, I was about to leave the country for a week and had the uncanny feeling that she was going to slip the bonds of earth just in time for me to miss seeing her entirely. I talked of visiting before I left, but my cousins and aunts assured me there was little to be gained from seeing her in her frail condition. She wouldn’t know me, and the husk that clung to life was a shadow of the woman I knew. The Wednesday night before my trip, I decided to go to church. In the dim sanctuary as the candles flickered and the music wafted over me, I began praying for my aunt and for our family. All at once, I felt as though Heaven had been drawn near. It was as if, through my prayer, I was connected to my Aunt Helen, and as God pulled back the veil back for her as she hung out in Heaven’s waiting room, I was being allowed to tag along on her hem, like Ebenezer Scrooge and the Ghost of Christmas Past, to catch a glimpse into the beyond through her eyes. I saw my father, saw the faces of family who have gone on, some of whom I never met in this realm. I had an impression of her passing as a birth into a new and more perfect existence, one she had longed for her whole life. Words started spilling into my heart and head. As quickly as I could, I grabbed my red notebook and dashed them down in the holy dimness of the sanctuary. Even as I relay this, I can feel the purity of the moment, and of how very thin the veil felt between this life and the next. A few days later, just as I was leaving the country, I received word from my mother that Aunt Helen had swum out to that farther shore. I was unable to pay my last respects to her in person or to share the celebration of her life with my family. Which was too bad, as I heard it was a lively affair. The little country church she loved and served so faithfully was packed with family and friends. Cousins who probably hadn’t darkened the door of a church since my father died were there in suits. And ties. I know she was smiling ironically at that. And in typical fashion, my entire family – Jacksons and Carvers alike, minus me – were celebrating Aunt Helen’s life and enjoying each other so much that the pastor had to call them down in church. They took great joy in that. I’m sure Helen and her little brother Ray shared a smile and an eye roll over it, too. I have kept this poem close for the past year. I intended to send it to my cousins as a token of my love and condolence, but I wasn’t sure it was finished. Or worthy. Or even very good. But today, on the 81st anniversary of Helen Carver Redd’s earthly birth, I send it out as-is to my family, especially to her sisters, children and grandchildren. And I send it out in love to everyone who has lost someone dear, everyone who looks for hope, everyone who longs to know there is more to living and dying than what we see. As for me, I believe there is.